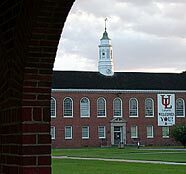 At the end of each regular semester, the University of Louisiana at Lafayette recognizes those students named to the President’s List and Dean’s List. Eligible students must be enrolled fulltime. To be included on the Dean’s List, students must earn at 3.5 GPA or better and to be included on the President’s List, students must earn a 3.8 GPA or better. View the list of students are being honored for the Fall 2010 semester by clicking here or here. An (*) denotes those students on the President’s List.